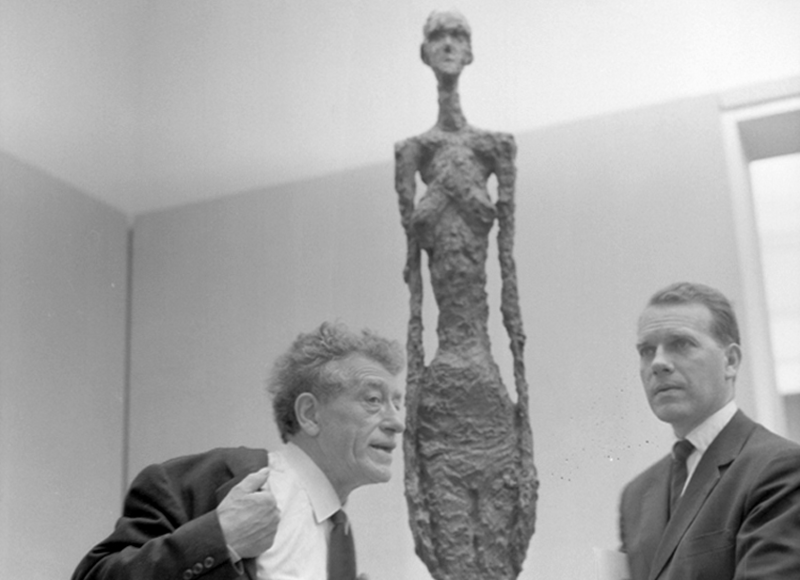 In the early 1960s, Bacon met the Swiss sculptor and painter Giacometti in a café during a trip to Paris. He approached the sculptor and told him how much he admired his work. Bacon also liked Giacometti’s lifestyle in that despite his wealth he continued to work in his small, cluttered studio near Montparnasse. His lack of interest in official honours and success also appealed to Bacon. Parallels can be made between both artists’ lives in that neither accumulated many possessions but were extremely generous to friends and liked to frequent good restaurants and leave huge tips. Their mutual friendship with Isabel Rawsthorne would also have brought them together but Giacometti’s death in 1966 precluded the development of a close friendship.